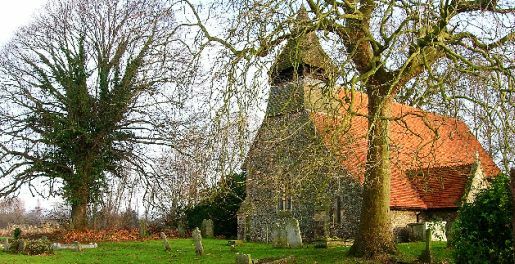 Apuldram is a small parish on the north eastern upper reach of Chichester Harbour about two miles (3 km) south-west of the centre of Chichester in West Sussex, England. Access to the harbour is at Dell Quay. The nearest railway station is 1.2 miles (1.9 km) northeast of the village, at Chichester. Most of the parish is farmland, roughly bounded to the north by the River Lavant, to the west by the harbour and to the south by Chichester Marina and the Chichester Canal. The parish is crossed by several public footpaths, offering views of the harbour, Cathedral and South Downs. There is now no village centre and of the original medieval village only the church, the Manor and Rymans now remain. The area of the parish is 1,073 acres (4.34 km2) and at the 2011 census the population was 169, a reduction of 9% from the 2001 census.